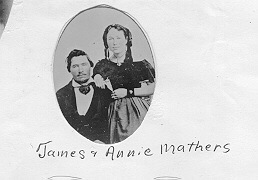 James is the brother of my 3rd great grandmother. He fought for the Union in the Civil War and was killed leading a cavalry charge against a surprise attack from Confederate forces on August 11, 1864. He left behind a sweetheart, but was not married as far as I know. Since he has no descendants, I wanted to give him a special shout out on Memorial Day. 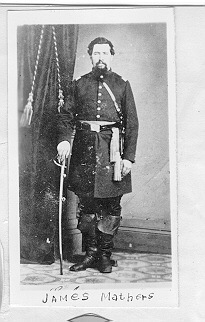 Most of my ancestors were out in Utah by the time the Civil War started, so Civil War service in my family is rare. Perhaps that is one of the reasons James holds a special place in my heart. Family was dear to him. Here is a picture of James with his little sister Annie. He came all the way out to Utah with Johnston’s Army just to meet his little nephew, Levi M. Levi remembers that Uncle James gave him a red pair of boots–he cherished that memory all his life. 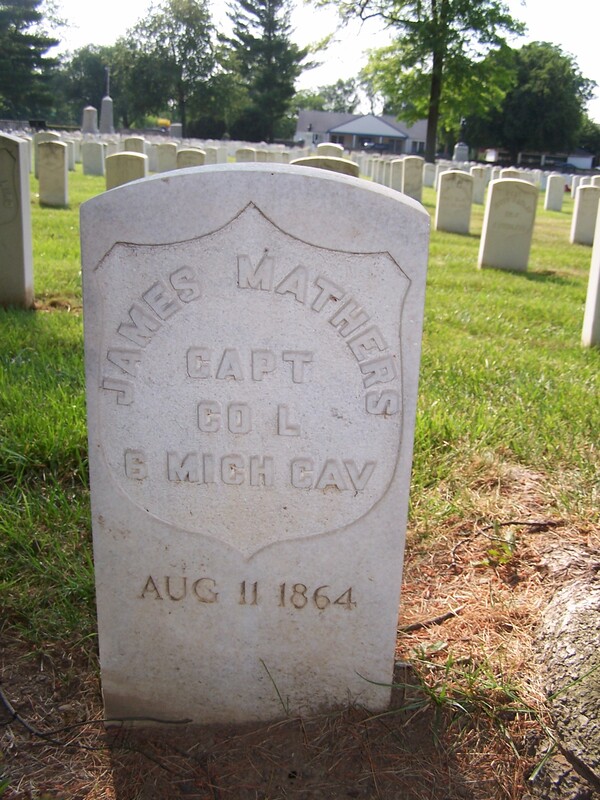 US Civil War Soldier Records and Profiles, James “Enlisted in Company L, Michigan 6th Cavalry Regiment on 13 Oct 1862.Promoted to Full 1st Lieutenant on 16 Mar 1863.Promoted to Full Captain on 31 Oct 1863.Mustered out on 11 Aug 1864 at Winchester, VA.” The mustering out would be at his death. This website gives an overview of all the different places the Michigan 6th Calvary served, including Gettysburg. 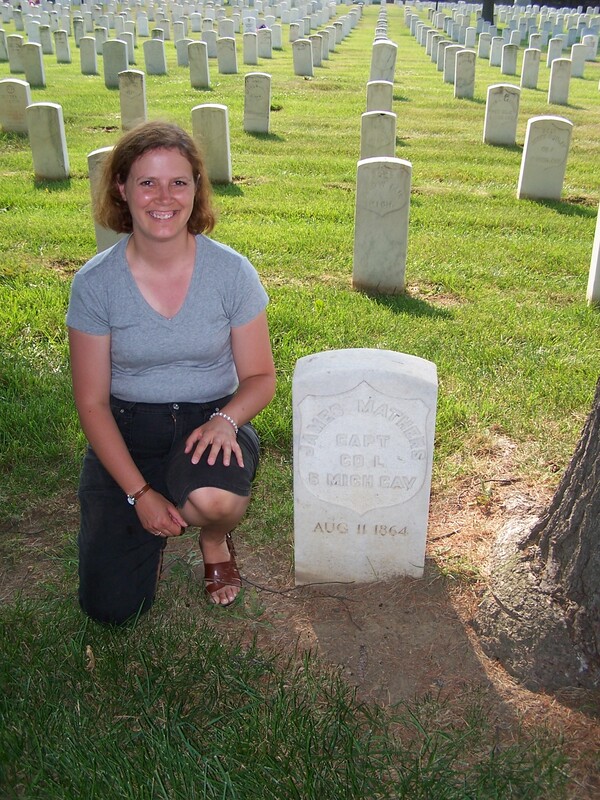 In June 2006 I was privileged to find his grave in the national cemetery in Winchester, Virginia and honor him. Are you like me? I start researching one ancestor, then something else catches my eye for a different ancestor and I am off in a completely different direction. In my case, it’s counter-productive and I am not getting anything done for any ancestors. So, I have decided to pick just ONE line and work on that for now. This focus will be good for me. I am blessed to have a plethora of material, including transcriptions of diaries, for many of my ancestors. I keep thinking someday I will read them. In my new approach, I WILL read them as I will go back one generation at a time, prove the links, and then (more interesting to me), incorporate the social history. This includes reading the diaries, biographies, auto-biographies and anything else that I have or can find. Eventually, and it might take a while, if all the generations that I currently have in my database that have been passed down through a few generations are correct, I will end up with my Loyalist ancestor Thomas Sumner, the ancestor I am really interested in right now. Here is a rough sketch of what I know I have, or where I think I can find relevant information. It’s an outline of a research plan. Many of these were prominent Mormons, so there is a lot on FamilySearch.org (memories, pictures, etc.) as well as diaries, LDS church records and newspapers that I can search. Some were also polygamists, so may find some interesting things in court records. 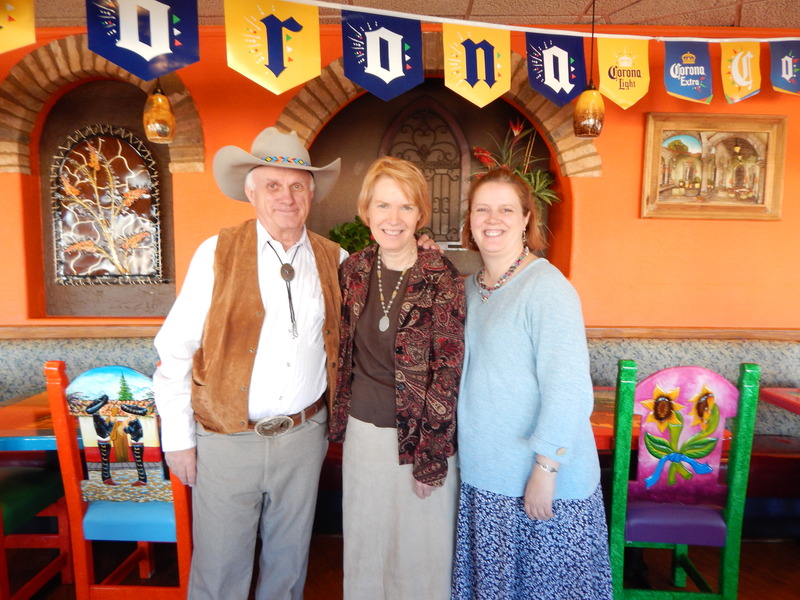 Grandparents (living)–know about them. Kind of embarrassing I don’t have a picture. Working on that. Have a transcription of his diary and a scan of her journal. He was fairly prominent in Mormon Church History, so will search newspapers and LDS history as well. This was a polygamous marriage, so there may also be court records, as well as records from other wives, including Addie’s sister. Have a transcription of his diary as well as a book written about him (and well documented). Another prominent Mormon, so will also search newspapers and LDS church history records. Also a polygamist. These were the first to convert to Mormonism in this line. She died in Vermont and he died in Nauvoo, Illinois. He was the son of Thomas Sumner. As far as I know, the entire family was forced out of Vermont and eventually ended up in Canada. John, along with some of the other children, came back to Vermont. Would love to find out more about that story. The Loyalist ancestor–really want to find out more about his story. How has focusing on just one or two lines, and using research plans, worked for you?